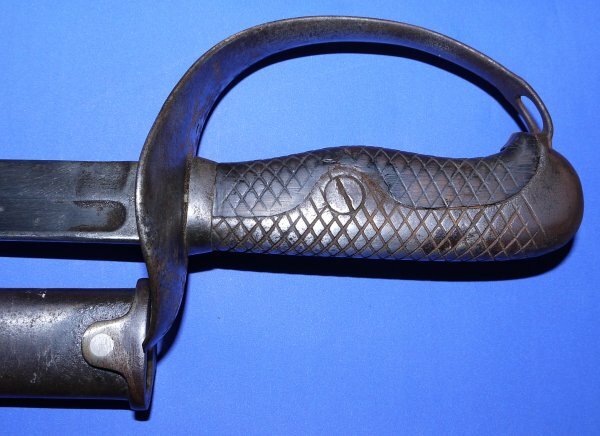 A WW2 1899 Pattern Japanese Army NCO's / Cavalry Troopers Sword. Quite a scarce item; this one with matching serial numbers. These swords were carried by Japanese cavalry troopers but most often by army noncommissioned officers (sergeants). The 30 1/4 inch blade is in good condition and firm in the hilt. 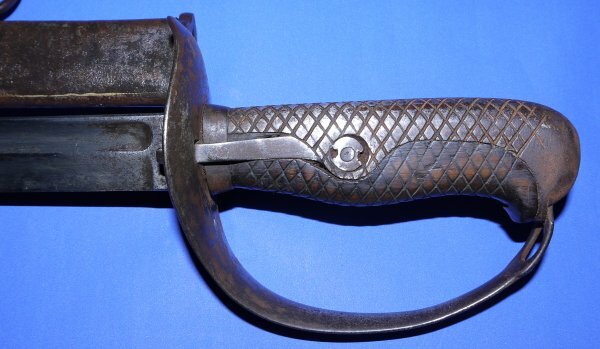 The hilt with light rust but good. The wooden checkered grip scales black from age but good. 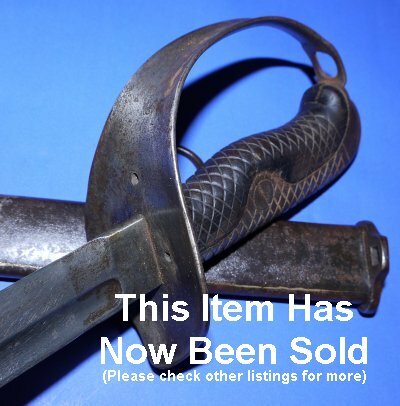 The steel scabbard sound but with some rust, a ding and the copper seaming / welding showing in places. The sword sheaths and draws well. The locking mechanism works well. Grab it quick, just £? (too late, now sold). Please quote item reference R48 (0532). Further / full sized images available upon request.